The Diablo Symphony is happy to follow up on and report news of what has become of some of our young winners of the Yen Liang Young Artist Award. We believe that the experience these young people had with us helped fuel the fire for their later musical accomplishments. Two years after winning our Young Artist award, Natasha debuted with the Los Angeles Philharmonic and recorded two discs with the Moscow Philharmonic Orchestra. 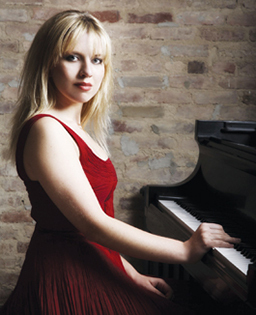 Natasha studied at the San Francisco Conservatory of Music before moving to New York to study at Mannes College of Music, where she graduated in 2007. Since then, she has played with many of the major orchestras in North America and Europe, including the San Francisco Symphony, the Baltimore Symphony, Vienna’s Tonkünstler Orchester, and the Moscow Philharmonic. She is the recipient of numerous awards. Natasha continues to have a busy touring schedule this year playing concerts and festivals nationally and internationally in countries such as the UK, Turkey, France and Canada. As a solo artist, she released two albums in 2011 and 2013. Recorded with the Royal Philharmonic Orchestra, her most recent album paired Tchaikovsky’s Piano Concerto No. 1 with Rachmaninov’s Rhapsody on a Theme of Paganini. With a strong focus on new music, Natasha’s growing repertoire reflects an artistic maturity beyond her years. Betty Woo earned a D.M.A. from Stanford and later studied at the Royal Academy of Music in London, going on to win international competitions. 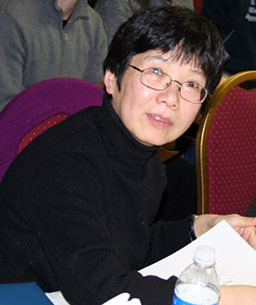 She has lectured in Beijing, Shanghai and Hong Kong, as well as locally. As a champion of contemporary music, Dr. Woo has given many premiere performances both as a soloist and with such contemporary ensemble groups as Earplay and the San Francisco Contemporary Chamber Players. A resident of Oakland, CA, Betty is a professor of music at Holy Names University and UC Berkeley. Katie is one half of Duo Harpverk (from the Icelandic words for harp and percussion, harpa and slagverk) with percussionist Frank Aarnink. Formed in 2007, the duo’s main focus is to commission and perform the music of young contemporary composers worldwide; thus far they have commissioned over 60 pieces. 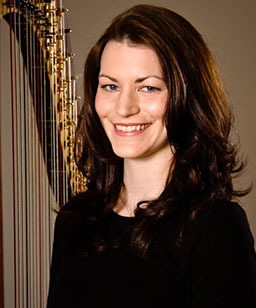 Over the years, Harpverk has performed at numerous music festivals, including the Listahátíð, Dark Music Days Festival and the Iceland Airwaves Festival. They have toured Denmark, the Netherlands and the Faroe Islands playing at several venues. Harpverk performed in Washington D.C.'s Kennedy Center in March 2013 as a part of the Nordic Cool Festival. Their first CD, entitled The Greenhouse Sessions, came out in 2012 and they are currently scheduled to release their second CD in the fall of 2014. Katie lives in Iceland.